There are 3 things we take seriously at Geeks Who Eat (ok maybe more, but for the sake of argument go with it): tacos, cheese, and chicken wings. So it stands to reason that we get around to talking about cheese on Things We Love Thursday. We couldn’t have picked a more perfect cheese maker than Cypress Grove. Cypress Grove Chevre was founded in 1983 by Mary Keehn in Humboldt County. As a single mother of 4, she wanted healthy milk for her children, Mary noticed a neighbor who had goats for brush control. She inquired if she could buy two of the goats and the neighbor replied with a grin, “Honey, if you can catch ‘em, you can have ‘em.” Determined, Mary went out with grain each day and eventually lured her first two goats: Esmeralda & Hazel. Those two goats turned to four and pretty soon Mary had plenty of goats. This meant a whole lot of milk, and so Mary tried her hand at making cheese. With no formal cheesemaking training, Mary traveled to the cheese Mecca of the world: France. 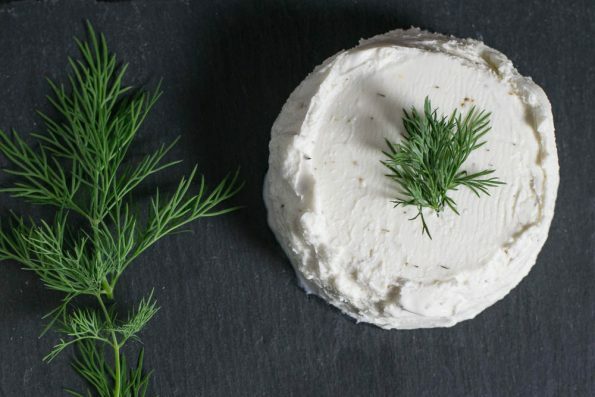 She tasted and tested and learned from the masters and makers of brie, camembert, morbier, and more – and suffice to say, Mary found her muse. As she slept on the flight home to Humboldt County, a prophetic vision danced across Mary’s imagination. She awoke with a clear image of a new kind of cheese: a cheese accented with a thick line of ash reminiscent of the fog often blanketing the expansive Humboldt County coastline – and the idea of Humboldt Fog was born. Mary and Cypress Grove have since expanded and continue to make not only Humboldt Fog but other amazing cheeses as well. They offer 3 types of cheeses: Soft-Ripened, Aged, and Fresh. We have tried just about any of their cheeses that we can get our hands on. Between Murray’s and Whole Foods, we’ve tried quite a few! They are all outstanding! Humboldt Fog- Humboldt Fog features a subtle, tangy flavor and distinctive layer of edible vegetable ash. It is made with buttermilk and fresh cream, complemented with floral notes, herbal overtones and a clean citrus finish. 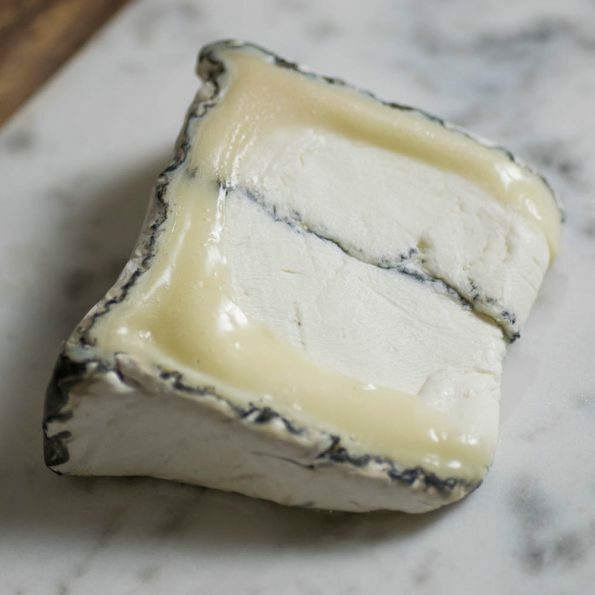 As Humboldt Fog matures, the layer of proteolysis just under the rind will increase developing a more intense flavor. PsycheDillic- PsycheDillic is fragrant and the addition of rare dill pollen adds a depth of flavor that sends your palate to a heightened state of awareness. It also features a tart and bright finish. We don’t make a Fromage Friday cheese board without these cheeses. Both have their own unique pairings. Humboldt Fog goes with strawberry jam on a water cracker (or sans cracker, doesn’t really matter). PsycheDillic, when not being eaten straight off the cheese knife, goes onto a piece of pretzel roll with a bit of rare roast beef. We should reiterate however, these cheeses are fantastic on their own and don’t need a pairing. That wraps up this week’s Things We Love Thursday. We are always on the prowl for new things to feature here. As a reminder, Things We Love Thursday is never a sponsored post. These are things we find that we just love so much that we have to share them! Here is where it is your turn. Leave a comment below or use the hash tag #GeekEats and tell us which cheese we need to add to our Fromage Friday cheese board. Why is it your favorite? 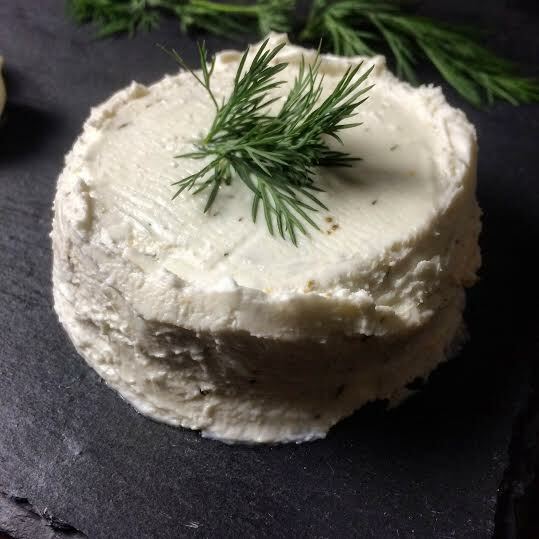 Do you have a favorite Cypress Grove cheese? Let us know! Until then, cheese on! *The Geeks were not compensated or given any comped items to facilitate this write-up; Information about Cypress Grove was taken from their website. All opinions are wholly our own. View our Disclosure Policy for more info. Hi! Just found your FB page. In addition to cousin Mary’s Humboldt Fog and PsycheDillic, CG’s Midnight Moon and Purple Haze are right up there at the top of my list. If you’re patient and willing to wait for a hard-to-get outstanding cheese, Whole Foods is (apparently) the sole retail distributor for Somerdale Champagne Cheddar. Made in and imported from England, it’s only available during the winter holiday season. Get your local cheese monger to give you a taste (the cheese guys at the E. Mayo store are very generous), let it melt on the roof of your mouth, then splurge on a whole wheel! Seriously. Do you live in the Phoenix area? If so, we should get together for a glass of wine and cheese board!